While flagship smartphones are becoming more powerful and feature new display technologies like HDR, there’s often little in the way of design innovation. But with the next version of its V line, LG could introduce a handset that stands out from the pack. While not the first phone to come with such a feature, LG’s V10 device from 2015 shipped with an always-on secondary display above the main screen. Its successor, the V20, improved the second screen and made it bigger. The next phone in the V line, which it’s safe to assume will be called the V30, could go one step further, introducing a secondary display that slides out from under the main unit. Reliable leaker Evan Blass shared a series a concept renders that show the feature and its possible uses on Twitter. He warns that some of the images are older mock-ups and he isn’t certain that this is where the handset is heading - meaning that the final version might be very different from what we see here. The second screen is slightly visible when tucked away inside the phone, so you would still get the always-on display seen in previous Vxx handsets. But when it’s extended, the smaller screen could offer various functions based on what app is running, similar to Apple’s Touch Bar in its newest MacBook Pros. The concept images also show the screen being used as a keyboard, much like a digital version of the one from BlackBerry’s Priv. The V30 is expected to arrive sometime around September or October, putting it up against Samsung’s Note 8 and the iPhone 8. 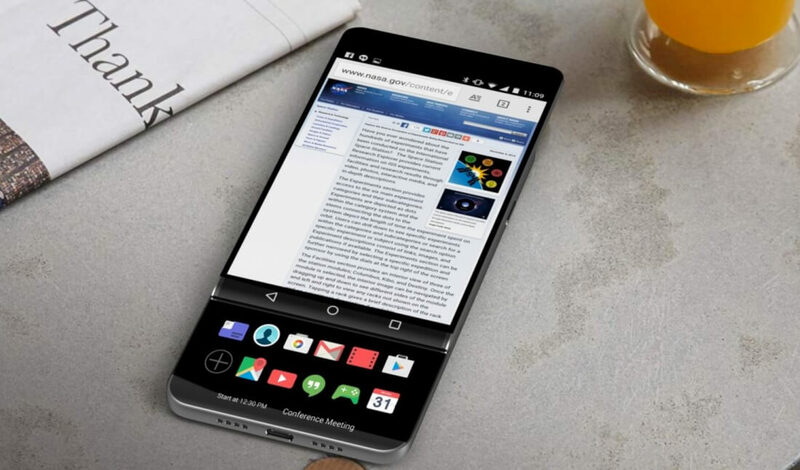 We’ll have to wait and see if it really does boast this unique feature, or if LG thinks it may be a bit too unconventional – it won’t want another G5 on its hands. Reminds me of Nokia N95. Still a gimmick though. How else can they stand out among the oceans of other cookie cutter of clones? The V series may be a decent line of devices but they are pretty innocuous (to me at least). How do I post a Powerpoint slide show on a web site?